If you know someone who's aging and struggling with depression, Juno Medical has some good guidance on how to help them. loss of energy, change in appetite; different sleeping patterns; anxiety; reduced concentration; restlessness; feelings of worthlessness, guilt, or hopelessness; and thoughts of self-harm or suicide. depression among older people is often associated with physical conditions, such as heart disease, high blood pressure, or diabetes. Life events, such as losing a partner; and a reduced ability to do things that were possible when younger, may also contribute to depression. As for helping, this infographic provides some guidance. If you'd like to find out more, visit Juno Medical's site about depression in older adults. I have a love / hate relationship with my Apple Airpods. I love how they sound, I love the battery life, and I love how easy they are to pair and switch devices. I hate how they fit my ears. As someone with (apparently) large ear canals, they are very loose and fall out easily. I didn't want to give up the convenience of my Airpods, so I started looking for a way to make them fit better. Luckily, I found a solution: Spigen TEKA RA200 Airpods Earhooks Cover for Apple Airpods. These are comfortable, silicone covers with a small "hook" that help keep the airpods secure in your ears. These TEKA covers are easy to put on and very comfortable to wear for hours (the silicone is soft and pliable, while providing enough tension on your ears to keep them in place. 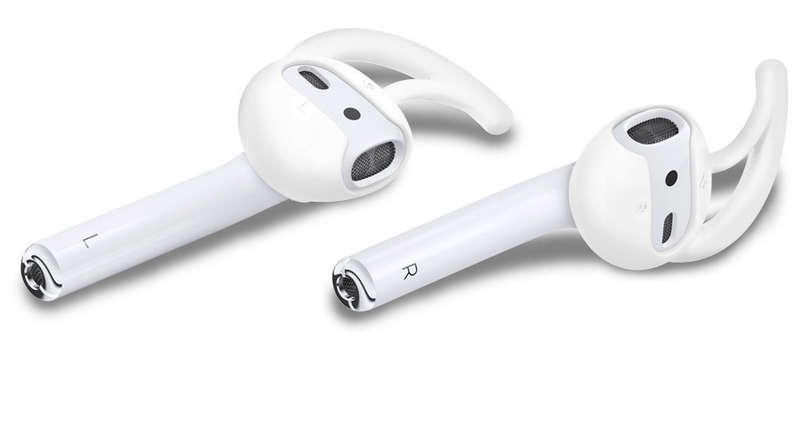 They are also perfectly designed to fit on the Airpods without covering any of the sound ports or ear sensors, so they don't impair performance at all. Each set of these TEKA covers includes two sizes (small and large) so you can choose the ones that fit your ears best (and you can give the ones you don't use to someone else, if you want). Pretty cool. The only issue I have with these is that you can't put the Airpods in their charging case while the TEKA covers are in place, since there is not enough room in the charging case when the covers are on. This isn't a design flaw in the covers - it's just the reality of how Apple designed the charging case. What that means is that you need to remove the covers to charge the Airpods. That is not a big deal, since they can be removed and reinstalled very easily - however, you'll need to make sure you keep the covers in a safe place during the charging process so you don't lose them. I bought a spare pair of covers and keep them in a snack-sized Ziploc bag in my laptop bag, just to make sure I don't get stranded without the covers. If you have a better solution for keeping track of them, I'd love to hear it. That aside, I unreservedly recommend the Spigen TEKA RA200 Airpods Earhooks Cover for Apple Airpods. Here in the US, April means "Tax Day" (April 18 this year). Filing your taxes can be a hassle, and it's particularly harsh if you have to pay additional taxes. However, some people look forward to getting a tax refund. If you're one of those people, you might want to just go out and blow it on something fun, or a night on the town. Hold your horses! That may not be the best way to use that money. Considerations for using your tax refund wisely - courtesy of Earnest. When I look at the options in this graphic, my bias would be to pay down outstanding debt first starting with the highest interest rate. You should also consider “refinancing” high interest rate debt by transferring it to a lower-interest loan or line of credit. For example, you could refinance your student loans for a lower interest rate. 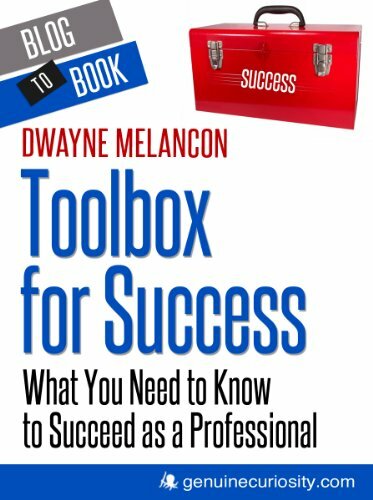 This will give you more leverage from the money you earn, and your future self will thank you. If you got a big, hefty refund, I'd talk with a tax advisor about how to adjust my withholding allowances to reduce the size of next year's refund. While it may feel good to get a big check for a refund, a big refund means you overpaid taxes and effectively gave the US Federal Government a free loan for most of the year. Changing your withholding so that you get a small refund at the end of the year means you have more money in your pocket each pay period. Of course, if your tax refund is the only savings plan you have, that is another story. A financial advisor can help you develop a more strategic savings plan. If you want to build a better plan on your own, I know people who swear by "The Total Money Makeover: Classic Edition: A Proven Plan for Financial Fitness" by Dave Ramsey. It is a no-nonsense approach based on sound advice and no gimmicks. Meetings cost us time and money. Having numerous people in a conference/meeting hall is costly by any measurement. Moreover, what is even worse is the cost of an interrupted work flow. In the business world it is tough to do away with meetings. After all, they help an organization, big or small, realign their efforts according to their goals after a healthy discussion with other employees. As more and more organizations begin to embrace a culture of empowerment and inclusion, managers tend to express themselves more frequently and for longer durations, often causing meetings to become more comprehensive but exhausting as well. Add to this the fact that most of them do not come down to a decisive conclusion, and there is room for improvement. But there are ways you could keep a tab on the productiveness of a meeting. Here are 4 tips to kick start this process. Needless to say but according to Forbes more than 60 percent of meetings in US don’t have prepared agendas. It is important to realize that, setting an agenda before the meeting begins can cut unproductive meeting time by great extent. The meeting agenda has got to be specific, rather than be vague. For instance, “Amsterdam Project” isn’t as effective as something like “Determine priorities and workforce for Amsterdam Project.” At this point it is also important to keep in mind that the agenda is communicated with your team well ahead of time. Everyone who enters the meeting room should know, in advance, the objective for keeping the meeting, apart from why they were invited and how are they expected to contribute. Don’t make exceptions is the first thing that should strike you when beginning the meeting. If one of your colleagues arrives late, instead of starting late or starting all over again, explain to him or her on which pointer the team is currently at. Resist the temptation to delay the meeting summarize the progress for late arrival(s). Unless and until the person’s role in the missed out pointers is critical, ask them you’ll update them once the meeting is done. Remember time is money, and in meeting the time of your team is at stake. As the meeting progresses, determine time limits for each pointer and make sure to stick to each of them. In other words, avoid too much dynamism when the meeting is under progress. Reschedule anything that not on the agenda, for a discussion sometime later. One hack that does wonders in keeping to the time allocated to the meetings is placing priority items that are bound to have minimal discussion right at the beginning of the agenda and consequently that is where your meeting should begin. Needless to say the contentious items are bound to go down the agenda. Another factor that hampers the productivity of your meeting is multitasking. It is technically impossible to check your mailbox and listen at the same time. So make sure to make a formal announcement asking your team to switch off the phones and pagers before you begin the discussion. Only then will your team participate wholeheartedly in the meeting. What’s the point of conducting a meeting when other’s opinion is not taken into consideration? This opinion is different from the one you look forward to while discussing a problem in a meeting. Most of the times it is important to take note of what your seniors and juniors thought about the meeting as a whole and what else could be done to make it better and productive. Based on the recaps and responses to the meetings, assess your and your teammates’ performance. Maybe someone needs to listen more, someone needs to express more. Anonymous feedback from fellow employees will help you run more meetings that are more effective, and will help you and your staff get. Anonymous feedback from your employees will not just assist you in running more effective meetings, but will help you and your staff reap more results out of the shared time. Meetings are powerful, irrespective of the fact that they have small teams or large ones. They help in disseminating important information and help shape the direction of the work your company is into. Productive meetings not just help in setting up efficient, effective organizational processes but your staff ventures back into the office way more informed and empowered. If you are struggling with low productivity in meetings give a shot to the above steps to set a culture of clear direction and plan of attack. Guest Author Bio: Chris Jordan is the Marketing Manager at Weekplan, a weekly planner web application, used by over 300K users. Read more about Weekplan here. We've come a long way with technology through the years, so much so that it has given many people the flexibility to work from home. The ability to challenge the status quo of traditional office jobs lures many of us to regularly take advantage of this “perk.” At the same time, this work-from-home capability can negatively impact both productivity levels and our overall health. For example, the desire to wander off and mindlessly snack throughout the day, or the tendency to stay holed up in the house far into the evening hours can become a regular occurrence. How do we make sure our home serves as both an escape from work and one that encourages increased productivity and an overall positive state of well-being? It’s all about finding the right balance between work and play. By incorporating the simple tips below, you’ll be on the right track for staying healthy and productive the next time you’re working from home. We’ve all heard a lot about the overall health benefits of good sleep. But did you know that according to the RAND research group, the U.S. loses $411 billion each year because of poor productivity due to lack of sleep? In fact, not only is our production impacted, but frequent sleep deprivation can affect our brains in more negative ways than you would think. For one, there is a strong connection between lack of sleep and depression. Studies have shown that people who have insomnia are more likely to be both depressed and anxious. Additionally, a good night’s sleep can help prevent the buildup of toxins attributed to the onset of Alzheimer’s disease - ostensibly, these toxins are flushed by the body when we get a decent amount of shut-eye. Set yourself up for success from both a work-from-home and a general well-being standpoint by getting between 7-9 hours of sleep each night. Better yet, incorporate the tech aids I've discussed in the past into your routine for an even better slumber. If you're anything like me, your computer may be your single most-used piece of equipment during the work day, so make sure it helps you achieve maximum productivity. Do your research and invest in a quality laptop that will allow you to get the job done, especially if you’re working as an entrepreneur or freelancer. Take into consideration key factors like cybersecurity and storage space, both of which you’ll find on laptops like HP's business laptops. It just so happens that 2016 was a record-breaking year for the number of data breaches, so it’s now more important than ever to ensure that your work is always protected. If you like to store your information and business files on your laptop, you'd better have backups. Purchase an external hard drive and rent cloud storage to ensure that you’ll have access to your files even if you do experience a tech emergency. Online storage options like Dropbox and Google Drive can provide the necessary backups for one-person businesses or small-business solutions. Some may find it difficult to fully wake up without hitting the snooze button a few times, but this new study may have you rolling out of bed as early as you can. According to Science Daily, "morning people" tend to make smarter, healthier decisions when it comes to food. Not only do our biological clocks influence when we wake up, they also impact our metabolism. By rising early, participants in a recent research study ate a healthier breakfast and continued to make smarter food choices throughout the day unlike their night owl opposites. If the thought of waking up earlier is still a little daunting to you, actively attempt to go to bed earlier in the night to make the sound of your alarm just a bit less jarring. If you're an iPhone user, take advantage of iOS 10's "bedtime" feature that reminds you when it's time to go to bed so you get enough sleep before your target bedtime. Our mobile devices and other tech gadgets have grown to become an extension of ourselves in the past decade, amplifying their potential to become never-ending distractions. Whether it’s a phone call from mom, a notification that someone liked your Instagram photo, or even the cheerful ring indicating you’ve just received a text, cell phones and other always-on tech can negatively impact our productivity. To solve the problem of being sidetracked by notifications, consider making your workspace a gadget-free area. The average person checks their phone around 110 times per day, so imagine how much time you’d have to get your work done if you didn’t waste it doing just that. Many phones have "Do not disturb" features that can help by silencing alert and incoming messages. This is very useful, especially if you're about to dig into a project that requires deep concentration. What about you - do you have any techniques of your own that help you stay healthy and productive while working from home? Share in the comments below!